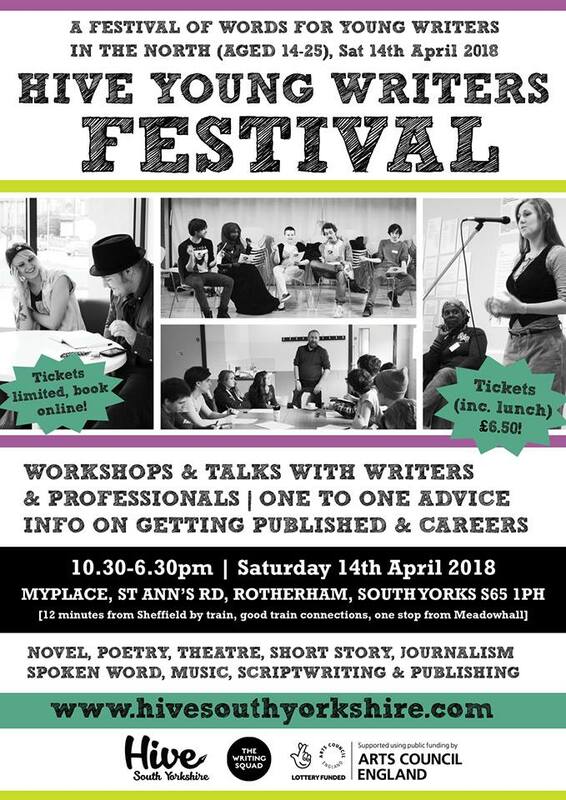 On Saturday 14th April (just over a week to go) THIS is happening in Rotherham. 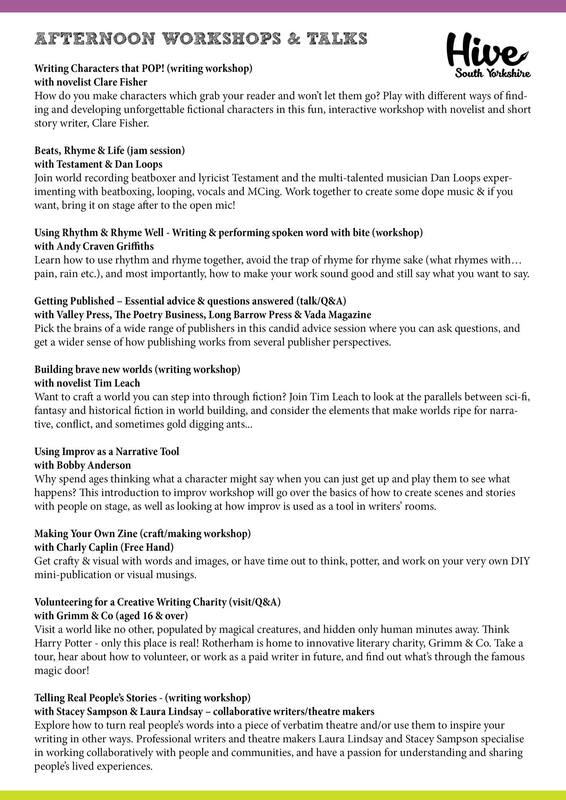 There’ll be workshops with writers across pretty much all the platforms you could think of, one to one sessions, performances, a chance to talk to publishers – you name it, it’ll be there. 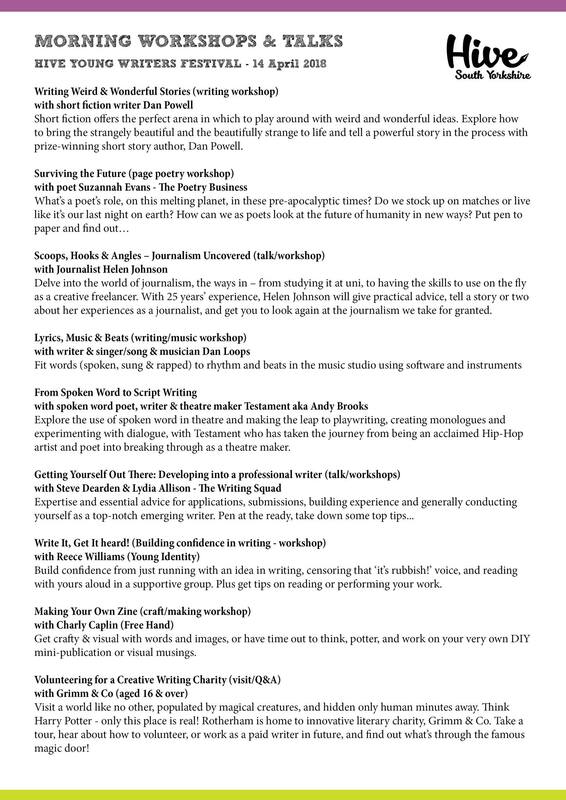 So, if you’re aged 14-25 and if you’re in the north of England and interested in any sort of writing then GO HERE to book your ticket (there aren’t many left, so I’d hurry if I were you) – and the whole thing, including lunch, is only £7.40 for the whole day.